The heady buzzing, dizzying swoop and impulses of bees. 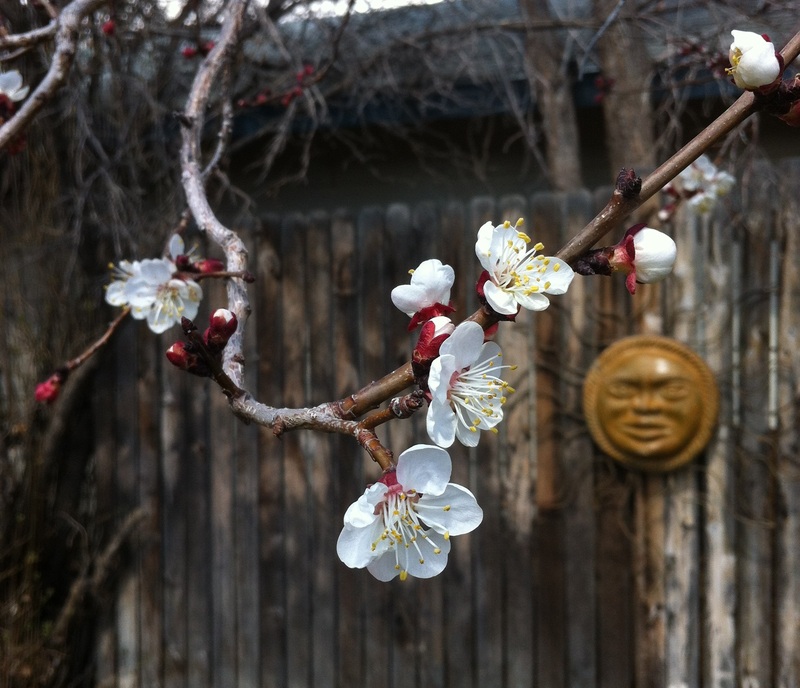 I stand near the apricot blossoms, opening today in April 3rd sun, and the bees navigate instinctively, intently, all around me, paying me no mind. What is it like, guided by scent and temperature through the world? Diaphanous whir of your wings through an enticing array of fragrances…working one’s way into the open blooms and curving petals of flowers. 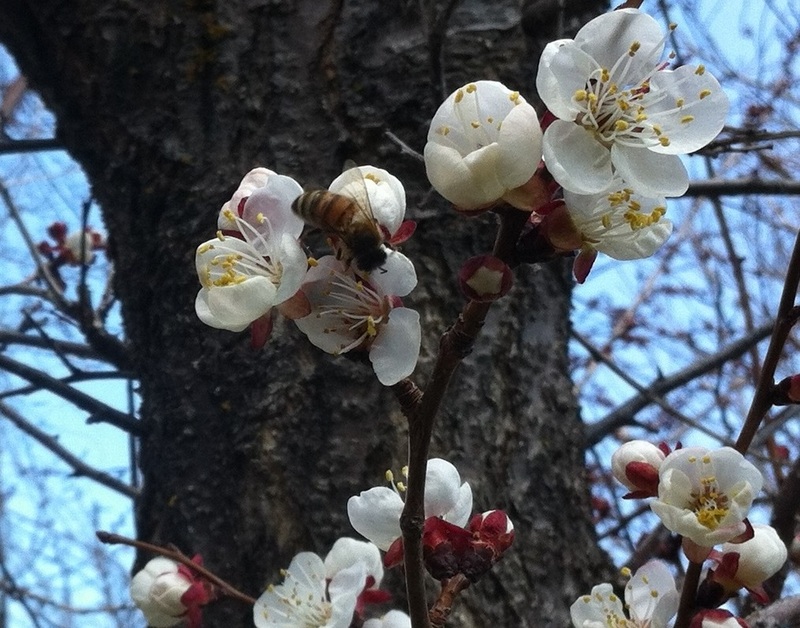 I watched a bee this morning, attempting to pull apart as-yet-closed apricot buds, it’s “tarsi” or claws, quickly discerning that it was not yet time, movements so rapid, so focused. It gave the puffy buds a little push backwards — away with the claws and body, reminding me of a swimmer reversing direction at the side of the pool, shoving off with a springing action of the legs and feet. With customary faith, and trust, and good weather, and all things benevolent, there will be a blushing bounty of fresh warm apricots picked on a late spring day. Will there be an Austrian Sachertorte in my future? Apricot and arugula salad with champagne dressing? Apricot preserves? I can’t wait! But I just have to. Everything happens in good time. Caterina, I am grateful for you! 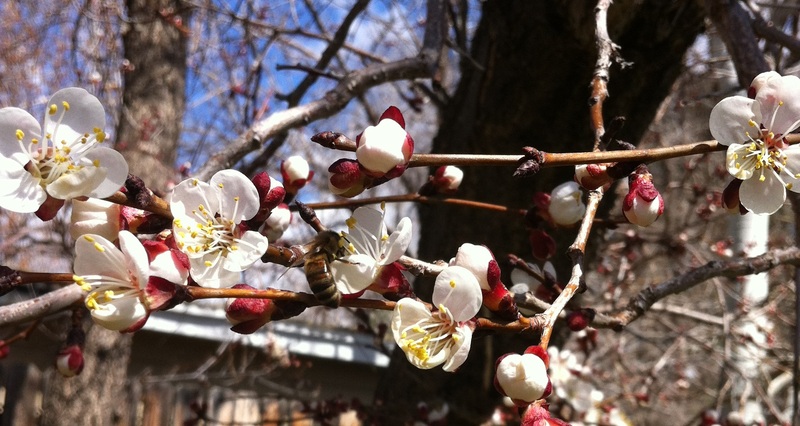 Thank you for stopping by my blog, and I hope some sweet bees go buzzing ’round you soon.